Delegations from Afghanistan, Pakistan, U.S.A and China discuss a road map for ending the war with the Taliban at the Presidential Palace in Kabul, Afghanistan. Representatives of four countries met in the Afghan capital for a second round of talks aimed at bringing an end to Afghanistan's war by charting a roadmap to peace, a Foreign Ministry official said. The Taliban’s newfound willingness to engage in a negotiated power-sharing arrangement is a good sign for the Afghan peace and reconciliation process. India should play a more proactive role. The second round of the unofficial Doha Dialogue, organised by the Nobel Peace Prize-winning Pugwash Conferences on Science and World Affairs with support from the state of Qatar, comes at a time when the official Quadrilateral Coordination Group on Afghan Peace and Reconciliation, with participation from the governments of Afghanistan, China, Pakistan, and the U.S., has become a non-starter due to the non-participation of the Taliban. APDEEPENING FOOTPRINT: “It is natural for China to see Tehran as an entry into West Asia, historically a region of U.S. influence, at a time when the U.S. is pivoting to East Asia.” Picture shows Chinese President Xi Jinping with Iranian President Hassan Rouhani at an official arrival ceremony, at the Saadabad Palace in Tehran. Iran’s strategic location connecting West Asia and Central Asia is key to President Xi’s One Belt, One Road initiative. For decades China remained on the sidelines of West Asia’s stormy waters. Even when the country was rising as an economic powerhouse and stepped up cooperation with the major powers in West Asia, the cornerstone of this engagement was non-interference: be it the Israeli-Palestinian conflict or the Saudi-Iran rivalry, the Chinese would continue to sit on the fence. Beijing looked at the region through its own prism. It didn’t want to get swamped in the complex geopolitics of the region at a time when its primary focus was on economic development. So it built ties with West Asian nations based on three principles — secure energy supplies, expand markets for finished goods and find investment opportunities — while leaving the U.S.’s primacy in the region unchallenged. In early 2015, New Zealand -- located thousands of miles and two oceans away from the Syria-Iraq battlegrounds, with a negligible Muslim population of less than 1 percent -- had 6 fighters enlisted with Islamic State or Da'esh, which had till mid-2015 recruited 25,000 people from over 100 countries. In spite of ISIS's ferocious social media presence, partly responsible for successful enlistments -- its affiliates posted 129,600 tweets in 2014 alone, before some 500 accounts were deactivated -- till late 2015, ISIS had lured and converted only some 17 Indians to its cause, according to United Nations and the US National Counterterrorism Centre statistics. Experts have suggested that young Indians have been immune to a certain type of radicalisation that makes the ISIS cause attractive because they do not cope with the feelings of alienation that young Muslims elsewhere face. Daniel Koehler, director, German Institute of Radicalisation and De-radicalisation Studies, Berlin, has devoted his career to understanding terrorism, radicalisation, and de-radicalisation. What is the Indian situation vis-a-vis ISIS? India is one major target for ISIS and Al Qaeda because the country has a very large Muslim Diaspora, regular conflicts with a Muslim country (Pakistan) and experiences violent clashes between Hindus and Muslims on a regular basis. This provides for a very stable breeding ground for jihadist radicalisation and recruitment. Does India figure in any ISIS plan in a larger and more sinister manner?Is there something the Indian national security establishment needs to be worried about? Right now, I would say that the biggest problem for India, with regard to ISIS, is the threat of recruitment to join the jihad in Syria and Iraq and the returnees. The bigger threat currently could come from Al Qaeda, which has proclaimed the 'caliphate' in Myanmar, Bangladesh and parts of India. 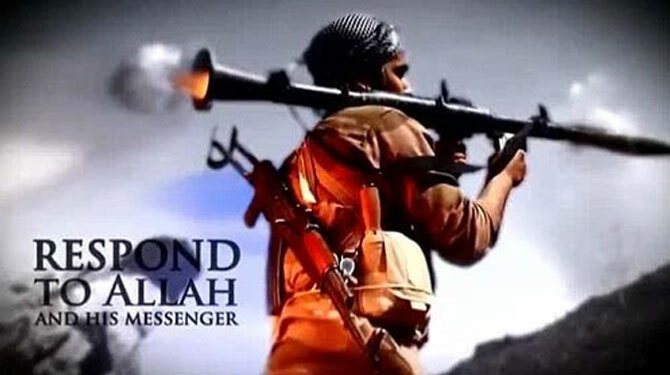 The competition between the two groups forces Al Qaeda to be more aggressive and commit terrorist acts. On the other hand, ISIS has shown a great deal of attraction for the Taliban in Pakistan and other violent network already present. India lies right at the centre of two jihadist terrorist groups fighting each other for power. India's recent announcement that it will deploy two of its new Boeing P-8 maritime surveillance and strike aircraft to the Andaman & Nicobar Islands could create new opportunities for enhanced cooperation with Australia and the US. The islands, which run some 800km from the top of Indonesian Sumatra to Myanmar, are India's strategic outpost in Southeast Asia, potentially allowing India to dominate the western approaches to the Malacca Strait just as China's artificial islands in the South China Sea dominate the sea lanes at the other end of the Strait. India has been building its military capabilities on the islands for decades, but its capabilities in intelligence, surveillance & and reconnaissance (ISR) have been limited. But the Indian Navy's air station on Great Nicobar island in the south of the archipelago is now being developed to accommodate large aircraft such as the P-8. Great Nicobar is near the western end of the Malacca Strait and the Six Degree Channel through which most commercial shipping passes. The most immediate driver of these deployments is China's growing presence in the Indian Ocean. The PLA Navy has made continuous deployments to anti-piracy operations in the Arabian Sea since 2008. But deployments of Chinese conventional submarines to the Indian Ocean in the last couple of years have caused considerable disquiet in Delhi. Port calls by a Chinese submarine in Sri Lanka in 2014 were especially controversial, and were essentially seen as a hostile act against India by Sri Lanka's former Rajapaksa regime. Last December, Beijing announced the establishment of its first foreign military base in Djibouti to support Chinese forces operating in the western Indian Ocean. This means the Chinese navy has now become a permanent feature of the Indian Ocean, and one day this could include deployments of Chinese ballistic-missile submarines. The growing Chinese presence in the Indian Ocean has led the Indian Navy to rebalance its fleet more towards its east coast and the Bay of Bengal. The development of new capabilities in the Andaman & Nicobar islands will help India to potentially dominate the entire Bay of Bengal and the western approaches to the Malacca Strait. The P-8 deployment will also enhance India's surveillance and strike capabilities further afield, potentially including in the South China Sea. But the deployment of P-8 aircraft to the Nicobars could also have broader strategic consequences for India's defence relations with Australia, the US and Southeast Asian partners. For one thing, India's maritime surveillance efforts could complement Australia's activities in the area. For more than 35 years, as part of Operation Gateway, Australia has conducted maritime surveillance in the Malacca Strait itself and at each end of the Strait in the South China Sea and Bay of Bengal. Operation Gateway was instituted by the Fraser Government in 1981 in response to the growing Soviet presence in the Indian Ocean and throughout the 1980s, Australian P-3 aircraft, operating from or staging through Butterworth in Malaysia, actively 'prosecuted' Soviet submarines transiting the Malacca Strait between the Pacific and Indian Oceans. These ISR operations continued after the Cold War and from 2017 will include Australia's new fleet of P-8 aircraft. This Special Report is based on some of the most important ideas shared amongst participants in ORF's roundtable on Changing Geo-economic Landscapes, held on 21 December 2015 in New Delhi. The discussion examined current patterns in world economy, initiatives being taken by the Indian leadership to steer domestic economy, and the need for the country to carefully integrate its domestic economic priorities, including those of reforms, with its foreign policy. Editor’s Note: This article is adapted from an essay that first appeared in Frontline Allies: War and Change in Central Europe, published by the Center for European Policy and Analysis. Strategy has to do with how a state or other political actor arrays its resources in space and time in order to achieve its political objectives against a competitor. The key features of any strategy are rationality (the existence of political objectives and a plan to achieve them) and interaction with a competitor who seeks at the very least to achieve different objectives if not thwart our ability to achieve our aims. Competitive strategies are a particular family of strategy with two aspects that deserve consideration. How to Prevent: Extremism and Policy Options. The Tony Blair Faith Foundation has released the second volume in our Global Perspectives series, How to Prevent: Extremism and Policy Options. This volume engages our practical support to counter religious conflict and extremism, with the thinking of academic and policy experts in this field. It focuses on our core areas of work: analysis of the interaction of religion and conflict, education and supporting leaders. Edited by the Foundation in collaboration with Khalid Koser, Executive Director of the Global Community Engagement and Resilience Fund, the volume outlines some of the increasingly vital policy options for preventing extremism. Electricity pylons are also known as transmission towers. Taliban blew up an electricity pylon in Baghlan province Tuesday. According to TOLOnews, the Chairman of Da Afghanistan Breshna Sherkat (DABS), Afghanistan’s state-owned utility company, confirmed that the Taliban blew up a “major electricity pylon in Dand-e-Shahabuddin area near Baghlan-Kunduz highway.” The chairman, Mirwais Alimi, told TOLOnews that it can be repaired in a day, provided the fighting ends. This attack nonetheless highlights the vulnerability of electricity transmission infrastructure in Afghanistan to militant attacks. Baghlan province is situated south of Kunduz province and is bisected by the only highway to cross the Hindu Kush, a vital lifeline between Kabul and the north. Tuesday, as reported by the Pajhwok news agency, Afghan security forces launched a clearing operation outside of Baghlan’s capital in Dand-i-Ghori, saying that the area has been under Taliban control for nearly nine months. 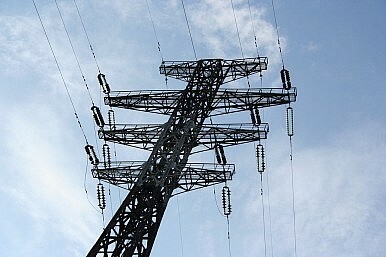 TOLOnews suggested that the blowing up of the electricity pylon was retaliation for the ongoing security operation. In October, Taliban seized control of the city of Kunduz for 15 days. As noted by Gran Hewad in an excellent piece for the Afghanistan Analysts Network (AAN), the Taliban’s strong presence in Baghlan to the south was hugely important. Taliban were able to delay government reinforcement along the road. Indeed, it seems the taking of Kunduz was prefaced by the securing of Baghlan — something Afghan forces are now trying to correct. In early September a controversial understanding was reached between the government and local elders in Dand-i-Ghori in which the elders pledged to maintain order and prevent the targeting of government forces. Hewad goes into more detail but the key criticism of the agreement likened it to a surrender of the area to the Taliban. As Afghan security forces battle Taliban in the province, the Taliban retaliated by blowing up a pylon carrying electricity from Uzbekistan to Kabul. This exposes a crucial vulnerability in Afghanistan’s energy infrastructure and underscores concerns some analysts have about regional initiatives to supply energy to South Asia from Central Asia. Afghanistan’s power infrastructure has been the focus of billions in development funds, yet the country remains energy insecure. In another AAN report, Mohsin Amin noted in February 2015 that in the winter Kabul receives 260 MW of electricity from abroad, namely Uzbekistan. As the US attempts to withdraw from Afghanistan, there is perhaps no better example of its botched efforts to rebuild and stabilise the country than the Kajaki Dam. A US Senate subcommittee is looking at waste by a Pentagon task force. It would do well to review the reasons why a major hydroelectric power plant sits unfinished. ProPublica is investigating how billions of US tax dollars have been spent on questionable or failed projects and how those responsible for this waste are rarely held accountable. The five-day mission was dangerous and grueling. Thousands of troops hauled a 220-tonne turbine piecemeal on trucks the entire length of a Taliban-infested province in southern Afghanistan. The feat was hailed by the British military as on par with the logistics of World War II and cost about $1 million. As the US attempts to withdraw from Afghanistan, there is perhaps no better example of its botched efforts to rebuild and stabilise the country than the Kajaki Dam. For the past year, ProPublica has been scrutinising the tens of billions spent on reconstruction in Afghanistan by the military, the State Department and the US Agency for International Development. Project after project has foundered because the US ignored history, warnings, local culture and common sense. Last month, ProPublica analysed and, for the first time, added up the cost of these failures and found at least $17 billion in questionable spending since 2009. On Wednesday, a subcommittee of the Senate Armed Services Committee will hold a hearing on the activities ofcontroversial Pentagon task force responsible for some of this spending. The task force was supposed to develop the Afghan economy, but has little to show for five years and hundreds of millions spent. Instructive context about how these types of failures come to be can be found in the story of the Kajaki Dam. 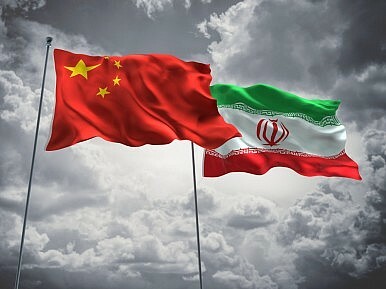 China and Iran agreed last Saturday to increase trade to $600 billion in the next ten years, as President Xi Jinping met with Iranian President Hassan Rouhani after the lifting of international sanctions aainst Iran. China has been conducting economic relations with Iran in recent years, despite the presence of international sanctions on Iran for continuing to develop its nuclear program. Iran plays an important role in China’s One Belt One Road initiative, and is to become an important railway connection and remain an oil supplier to China. Should China’s relations with Iran be viewed as a threat to the West? Maybe. China’s relations with Iran may support the latter’s military capabilities, particularly as China sells arms and transfers nuclear technology to Iran. China’s overall trade with Iran lessens the power of international sanctions. This relationship has reduced the power of sanctions and embargoes for decades, starting in 1979 when the U.S. and the West imposed arms embargoes on Iran, inducing Iran to purchase weapons from China instead. Iran acts as an important transport hub between China and Europe. Or maybe not. Iran has curbed its nuclear program according to the International Atomic Energy Agency, which means that Iran has restricted its possession of enriched uranium, limited centrifuge operations, shipped out all spent fuel reactors, and met other conditions under the Joint Comprehensive Plan of Action. In addition, China is not the only nation Iran is attempting to openly court, now that sanctions have been lifted. Iranian President Hassan Rouhani traveled to Europe to rebuild political and economic relations in that region. Rouhani’s visit appeals to European leaders due in part to his stated commitment in fighting terrorism. Rouhani has underscored Iran’s desire to bring solidarity among all Muslims and combat discord. “From a strategic perspective, the PLA will now be able to move forward with the concept of integrated network electronic warfare and better manage the use of satellites for [intelligence, surveillance, and reconnaissance],” said former military intelligence officer Larry Wortzel. Irina Bokova, Irina Bokova is Director-General of UNESCO. We’ve all done a SWOT analysis at one time or another. Well, here is Alexander Sergunin and Valery Konyshev’s look at current US-Russia relations. As they see it, asking “who lost Russia?” is now passé. For reasons they describe here, they see a new “reset” gradually emerging between Moscow and Washington. This article, which originally appeared in Russian Analytical Digest No. 178, was published by the Center for Security Studies (CSS) on 11 January 2016. Until recently, the leitmotif of discussions examining the state of U.S.–Russian relations was: Who (again) lost Russia? and Why was it lost? The whole tone of the discourse was quite pessimistic or even alarmist. However, with the Iranian nuclear program deal and the beginning of cooperation between Moscow and Washington on fighting the Islamic State (ISIS), the narrative describing the need for a new U.S.–Russian “reset” is gradually reemerging. Whether one is pessimistic or optimistic, it is clear that U.S.–Russian relations are at a turning point again. In the current situation, conducting a SWOT analysis of U.S.–Russian relations will help clarify the issues. According to business planning theory, SWOT analysis is a summary of a company’s current situation. The strengths and weaknesses of a company are identified, along with opportunities and threats in its environment. SWOT analysis makes it possible for analysts to measure the current state and future potential of a company. If the strengths and opportunities outweigh the weaknesses and threats, the company is in a good position. And vice versa a company is in a bad situation if the weaknesses and threats are dominant. SWOT analysis can also be used to build strategies for the future by considering how weaknesses can be turned into strengths, and how threats can be turned into opportunities. To begin our analysis from strengths, it should be noted that U.S.–Russian relations are based on a solid historical background and rich cooperative experiences that can be helpful not only for survival in difficult times but also for developing forward-looking strategies. For example, both countries never stopped a dialogue seeking to prevent the proliferation of weapons of mass destruction (WMD). The Iranian nuclear deal reached in July 2015 has only confirmed this fact and demonstrated the cooperative potential that the two countries have in this sphere. The U.S. and Russia managed to observe bilateral arms control regimes, including their obligations to reduce strategic offensive armaments. Such cooperation allowed the two largest nuclear powers to maintain the stability of the global strategic system. Why is Israel so cautious on the Islamic State? A recent war game explains why. TEL AVIV, Let’s say Islamic State fighters attack an Israeli military patrol along the Syrian border. They try unsuccessfully to kidnap an Israeli soldier, and they kill four others. A Jordanian border post is hit, too, and the Islamic State proclaims it has control of Daraa province in southern Syria. How do Israel and other key players respond? In a war game played here last week, they retaliated, but cautiously. The players representing Israel and Jordan wanted to avoid a pitched battle against the terrorists — they looked to the United States for leadership. This simulation exercise was run by Israel’s Institute for National Security Studies (INSS) as part of its annual conference. The outcome illustrated the paradoxical reality of the conflict against the Islamic State: Israel and Jordan act with caution and restraint, hoping to avoid being drawn deeper into the chaotic Syrian war, even as the United States escalates its involvement. “We all believe that keeping Israel out of the conflict is important,” said Brig. Gen. Assaf Orion, a retired officer who served as head of the Israel Defense Forces’ planning staff. He led the Israeli team in the simulation. In the war game, Israel retaliated for the killing of its soldiers but avoided major military operations. Jordan, too, wanted to avoid escalation. The players representing Jordan didn’t want to send their own troops into Syria. They worried about refugees and terrorist sleeper cells inside Jordan. They hoped that the combined military power of Russia and the Syrian regime could suppress the conflict and evict the Islamic State from its foothold in southern Syria. They looked for U.S. leadership but weren’t sure it was dependable. Is Russia’s Military Really Punching Above Its Weight? “Is Russia Punching Above its Weight?” That was the supposed to be the title for RuslanPukhov’s— director of the Moscow-based Centre for Analysis of Strategies and Technologies (CAST)—presentation at the Center for Strategic and International Studies in Washington yesterday. Unfortunately, due to inclement weather in the nation’s capital, the presentation had to be cancelled. Pukhov, however, provided me with his slides for the event. That situation is made all the more troubling because of deteriorating relations with Poland, the Baltic states, Saudi Arabia, Qatar and Turkey. There is also the issue of the ongoing conflict in Ukraine. Effectively, that means Russia has to prepare to defend its interests in every direction, Pukhov stated in his slides. Meanwhile, Russia can’t hope to match the United States and it allies technologically. “Russia can hardly compete with the ‘Collective West’ in regards to investments in engineering development and fundamental research,” Pukhov noted. Which means Moscow has to invest smartly a new generation of weapons. How Much Should the United States Still Care About Central Asia? The United States has struggled in the post-Soviet era to define a durable framework for its relations with Central Asian states. Initially, securing the Soviet Union’s nuclear legacy was the main focus of US policy. Then, after 9/11, policy was shaped by Washington’s need for Central Asian support for US military operations in Afghanistan. But as Washington redefines its global priorities, what should guide its policy toward Central Asia? It is perhaps easier to determine what should not be a guiding factor: not the region’s energy reserves at a time of falling oil prices; not visions of democracy that are not shared by Central Asian governments; not Afghanistan, as Washington tries to disengage from 15 years of war there. The only thing that is clear is the United States needs to adjust its relations with Central Asian states to a new set of realities. Before pondering the future, it is worth taking a moment to consider the past. US engagement in Central Asia has paid off: nuclear weapons have been removed and Kazakhstan has emerged as a champion of global non-proliferation. Central Asian states served as valuable partners in the US military campaign in Afghanistan. Washington helped the Central Asian states establish their sovereignty, territorial integrity and political independence. No single country has established its hegemony over the region, and Russia no longer has a monopoly on the flow of Central Asian oil and gas. Ultimately, America has fulfilled its promise of partnership. But many of America’s hopes for the region have not materialized. Central Asia has made little progress toward democratic, open societies based on free markets, the rule of law, and respect for human rights. The US project to connect Central Asia to Afghanistan and Pakistan via a “New Silk Road” has failed to take off. And China, not the West, is the prime beneficiary of Russia’s lost monopoly on the region’s energy resources. Looking ahead, it is unrealistic to believe that Washington can fulfill its transformational goals in the region, especially as it is looking to downsize its commitment there and focus on other, pressing challenges in the Asia-Pacific and Middle East. As the United States continues on a glide path toward a substantially smaller military footprint in Afghanistan, Central Asia’s role as the gateway to Afghanistan has declined in America’s strategic calculus—and that means less US time, energy, and resources will be devoted to the region. The National Security Agency is at a crossroads, and the key to its compass is the agency’s Information Assurance Directorate. Although overshadowed by the bigger — and, for some, more intriguing — Signals Intelligence Directorate, IAD’s mission of protecting sensitive information on national security systems is more important than ever. There are not enough hours in the day and, some say, not enough hands on deck at IAD to deal with the incessant stream of vulnerabilities surfacing on government and private-sector networks. In essence, IAD’s mission includes discovering software flaws, and part of the Signals Intelligence Directorate’s mission is exploiting them. NSA Director Adm. Michael Rogers is keen on forging closer interaction between the two directorates, which, despite years of inching toward each other, are still too far removed from each other for his taste. “This traditional approach we had where we created these two amazing cylinders of excellence and then we built walls of granite between them really is not the way for us to do business,” he said at an Atlantic Council event in January. He is on the cusp of unveiling what he says is the biggest reorganization of NSA in more than 15 years. Details are still under wraps, but Rogers has made it clear that the agency must do better at blending signals intelligence and information assurance to reap a good harvest in the age of big data. He is not the first NSA chief to push the two directorates closer together. Not long after becoming director in 1996, Lt. Gen. Kenneth Minihan decided to put information assurance resources in the agency’s signals intelligence hub, the National Security Operations Center, said Chris Inglis, who was then a senior operations officer at NSOC. Minihan’s change “was a big deal” because it helped operationalize information assurance, said Inglis, who retired as deputy NSA director in 2014. He said another turning point for the role of information assurance at NSA was Operation Buckshot Yankee, the Defense Department’s response to a 2008 breach of its classified systems. IAD specialists played a key role in detecting and mitigating the malicious code, Inglis added. “That put information assurance on a very solid operational footing,” he told FCW. A new tool to turn unstructured data into actionable intelligence could change the way law enforcement fights terrorism, and challenge the data-collection debate. Tools for turning unstructured data into actionable intelligence are getting better, and that could alter the risk-reward calculation at the heart of the data-collection debate. Take IBM’s i2 Enterprise Insight Analysis, or i2 EIA. IBM purchased i2 EIA back in 2011 and added in some of the company’s patented cognitive computing capabilities, the most famous of which is Watson, the AI that beat Jeopardy champion Ken Jennings. IBM believes the tool could help governments separate real refugees from imposters, untangle terrorist cells, or even predict bomb attacks. Last October, as many European countries were straining to make room for Syrian refugees, other nations were shutting doors, saying that ISIS attackers might try to blend into the throngs. “Our worldwide team, some of the folks in Europe, were getting feedback that there were some concerns that within these asylum-seeking populations that had been starved and dejected, there were fighting-age males coming off of boats that looked awfully healthy. Was that a cause for concern in regard to ISIS and, if so, could this type of solution be helpful?” said Andrew Borene, strategic initiatives executive at IBM. IBM hoped to show that the i2 EIA could separate the sheep from the wolves: that is, the masses of harmless asylum-seekers from the few who might be connected to jihadism or who were simply lying about their identities. “Could we look at a quick background of ISIS leadership based off of existing knowledge stores using unstructured data analytics? Could we identify people who were potentially traveling under false identities or passports? Which identities might they be using? If someone was a sleeper that we came across, would they be building a new legend [or alias]?… How would they be getting those passports?” said Borene. “These militants are using the technologies that we use,” he said, addressing the crowd of international cyber technology experts gathered at the Tel Aviv Trade Fair and Convention Center for the Cybertech 2016 conference. The two-day annual event drew some 3,000 participants, organizers say, including representatives of leading multinational and Israeli corporations and startups, investors and entrepreneurs from the various fields of cybersecurity, as well as government and military officials from around the world. Among those present were U.S. Deputy Secretary of Homeland Security Alejandro Mayorkas and Colonel Andre Lourenco Eiras, head of Brazil’s Cyber Defense Program, who is charged with cyber protection for the upcoming Olympics in that country. “We are facing… a force that challenges modernity, and that force is a savage… primitive medievalism that seeks to take our world back to the dark ages of humanity, over a thousand years ago,” said Netanyahu. “This is one of those few times in history in which the forces that seem to take humanity back are using some of the forces that take humanity forward. And this presents a greater challenge to us,” continued the prime minister, echoing a similar warning he made last week at the World Economic Forum in Davos. Netanyahu boasted that Israel was on the forefront of that fight, as one of the top five major cyber powers in the world, and accounting for about 10 percent of global sales in the cyber-security business. But, still, he admitted, in the cyber war against the “the forces of medievalism,” Israel could not stand alone. “There is a critical need for like-minded governments to have serious discussions about cooperation in the broader international realm,” he said. A cyber defense war room was integrated for the first time in one of Israel’s large-scale national military exercises which took place last week. When he launched the drill, IDF chief of staff, Lt. Gen, Gady Eisenkot noted the three main threats facing Israel: Hizballah’s vast missile arsenal, Palestinian terrorist attacks, and ISIS poised on two borders. He made only a cursory reference to cyber war, without elaborating. Compared with the civilian sector, the IDF has been awarded high marks for the way it has grasped the dangers of cyber warfare, prepared for them and trained and activated personnel for the pursuit of countermeasures. Appreciation of the peril has led the IDF to run two cyber warfare and defense divisions, one in the Military Intelligence (MI) Directorate’s elite Unit 8200 and another in its counterpart the C41 (Telecommunications and Signal) Corps. But the Achilles heel of Israel’s military system for combating the cyber threat,DEBKAfile’s military experts note, is the division of its responsibilities between two separate branches. Following a study led by Military Intelligence (MI) chief, Maj. Gen. Herzi Halevi, which was presented in the summer of 2015 to the chief of staff, it was decided to place the IDF cyber warfare system under a command like the air, ground and sea arms. But instead of merging the two specialized entitities, Eisenkot decided, in the interests of keeping the peace among his generals, to leave the separate units of the MI and the Signals corps in situ - at least in the first stage. This decision, say the experts, is bound to mar the effectiveness of IDF operations - both against hostile computer systems and in the defense of the military’s own information networks. To function effectively, offensive and defensive operations depend on a continuous stream of intelligence from every possible open, digital and human source, for the critical task of collecting technological and operational data to define and identify the peril. MI is naturally best qualified for clandestine work. It has access to superior intelligence sources and materials and its personnel, moreover, attracts the most technologically skilled young people, who aspire to join its ranks and are ready to stay on for careers, after their discharge from compulsory service. The Teleprocessing and Signal Corps certainly possesses exceptional skills in communication, encryption and information networks. But devolving on this corps a section of the counter-cyber war defense system will stand in the way of the IDF’s undivided focus on the defense of its operational and administrative computer systems. It will also hamper the armed forces’ cooperation with other bodies dealing with cyber defense, such as the Shin Bet internal security service and the Mossad. They are all used to cooperating with Military Intelligence; working with a separate cyber warfare body would be a stretch. A single IDF cyber command, had the chief of staff approved a merger, would have had the added advantage of being able to pull together the plethora of unconnected agencies set up to protect the civilian sector against the very real threat of cyber attacks, such as the National Cyber Bureau, the National Operative Cyber Defense Authority, the National Information Security Authority and the cyber warfare departments of the Israel Police and the Shin Bet. But first, the new IDF branch must get into stride. On 28 January 1981, the Eropean Council signed the Convention for the Protection of Individuals with regard to Automatic Processing of Personal Data, popularly known as Convention 108. It is the first legally binding international treaty dealing with privacy and data protection. The day has since been celebrated as Data Protection Day in Europe and as International Data Privacy Day around the world. In today’s era of digitization, it is imperative that we understand the concept—and importance—of data privacy. 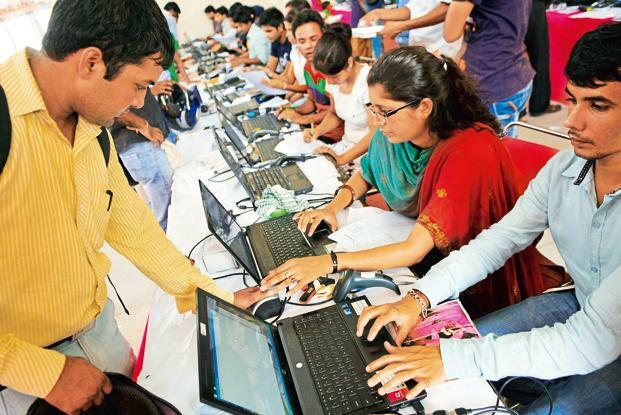 According to an Internet and Mobile Association of India report, India has around 400 million Internet users. This number took a decade to reach 100 million from 10 million, three years to reach 200 million and just another year to reach 300 million. The Internet is essentially a data ecosystem where every node is engaged in generation, transmission, consumption and storage of data. The scale of this data ecosystem can be gauged from the fact that by 2019, the gigabyte equivalent of all movies ever made will cross India’s Internet protocol networks every hour. But the situation is such that while we are generating such high volumes of data—most of which is of the “identifier” type that is used to identify a person, a thing or an entity in the ecosystem—we do not have in place measures that safeguard the privacy of this data, nor regulate data retention by platforms collecting it. As a result, ordinary citizens are unaware of how their personally identifiable information is collected, stored, used and shared. Further, as governance-driven digitization (Aadhaar, digital lockers, direct account transfers) fuels large-scale sensitive data collection and storage, the Information Technology Act, with its limited scope to penalize government agencies for breach of data privacy, is the only legal instrument available to citizens against contravention of their privacy in the data ecosystem. This leaves citizens exposed—as in 2013, when the Maharashtra government simply lost the personal data of 300,000 Aadhaar card applicants. Abstract: In July 2015, a team of cadets and faculty conducted a research trip in Bosnia-Herzegovina (BiH). This was the first contemporary battlefield assessment conducted through the Modern War Institute (MWI) and focused on military operations in densely populated urban environments as well the complexity of multinational operations. A significant finding from this trip is that no force had an effective approach to urban warfare – they lacked the warfighting concepts to move beyond positional warfare and assert military control over either Sarajevo or Mostar. A second finding was that there is a significant difference between two organized militaries fighting in an urban environment and hybrid warfare in an urban environment. Another interesting note about the defense of cities was the importance of having an organizational framework during the initial formation of hybrid defense forces from the local population. Perhaps our most significant finding with reference to multinational operations was that the U.S. Army should increase opportunities to work in multinational efforts, not only to strengthen ties with other nations, but also as way for U.S. Army officers to develop experience working in a multinational environment. General Votel to SECDEF: Shut Up About What U.S. Special Forces Are Doing in Iraq! The general overseeing U.S. special operations forces has written a memo to Defense Secretary Ash Carter demanding the Pentagon stop talking about what his elite troops are up to in Iraq or elsewhere, saying the commandos require a veil of secrecy to do their job, Foreign Policy has learned. Gen. Joseph Votel, the chief of U.S. Special Operations Command (SOCOM) who has been nominated to take over U.S. Central Command, issued the complaint in a Dec. 8 memo — days after Carter and White House officials announced that a force of about 200 special operations forces (SOF) would be deployed to Iraq to target Islamic State militants. “I am concerned with increased public exposure of SOF activities and operations, and I assess that it is time to get our forces back into the shadows,” Votel wrote, according to an excerpt newly provided to FP by a defense official. Votel added that discussing operations makes it more difficult for commandos to conduct those missions, and he “requested the department support him with an approach to avoid public discussion of SOF activities,” the official said, paraphrasing the brief memo. It was unclear precisely what public comments Votel was referring to in his memo, which was also addressed to Joint Chiefs Chairman Gen. Joseph Dunford. Still, it’s not the first time that commanders and top officials have expressed frustration about the disclosure of sensitive information about the elite forces. In the immediate aftermath of the 2011 raid that killed Osama bin Laden, senior officials — including then-Defense Secretary Robert Gates — privately lambasted their White House counterparts for publicizing key details about the raid. More recently, some senior officers have privately complained and congressional critics have suggested the administration is hyping the deployments of special operations forces for political gain, either to push back against accusations of not doing enough to combat foes like the Islamic State or to help Obama burnish his legacy as a bold wartime commander willing to chase down America’s enemies anywhere in the world. The new memo came amid a renewed effort by the White House to defend its strategy in Iraq and Syria in the face of sharp criticism in Congress, with officials frequently citing the deployment of commandos to take on the Islamic State. The force includes members of elite units such as the Navy SEALs and the Army’s Delta Force as part of a plan to “intensify” the war against the Islamic State — a push long demanded by critics who note that more than a year of coalition airstrikes has failed to defeat the militants or dislodge them from their strongholds in Raqqa, Syria, and the Iraqi city of Mosul.